I’ll just go ahead and ignore the date of my last blog entry. New school year, new position, new challenges. How many different job titles are there for what I’m doing this year?! My specific title is Instructional Technology Coordinator (it barely fits on my name-tag). I have seen amalgamations of the position with terms like 21st Century, facilitator, coach, and integrationist thrown in for good measure. If you have this position your main mission if you choose to accept it (and before it blows up) is to work with teachers to integrate more technology into their lessons. Simple. If your school has never had this position before *raises hand* then the challenges are great. Great as in huge not great as in yippee! Over the first couple of weeks of school though I have come to realise and unearth the “power of one”. Just working, talking and planning with one teacher from each grade who is open to innovation, moving forward with new, experiential methods of teaching and enthusiasm for relevant and appropriate use of technology opens the doors to the rest of the grade level. This has happened in every grade but one for me so far and I am truly grateful to these teachers and I am proud to be working with them together this year. Grade 3: In English they will read a modern take on Icarus. I was quite pleased when in the middle of the meeting with “the one” from Grade 3 that I suddenly remembered Build Your Wild Self. Students will use this website to create their very own Icarus as a platform for a narrative passage of writing on being Icarus. Grade 4: A big collaborative effort at the start of the Grade 4 year to test us all out! Stop Motion animation to illustrate the 4 stages of a rock. Sets, props and “rocks” designed in art class, scripts completed in English class and animation done in our Science classes. With Grade 1 we have briefly chatted and we have a general idea where we want to go but nothing concrete just yet. But I am extremely optimistic with that grade level. With Grade 2 I have to still to scope out “the one” but I am getting vibes…to be continued…. Thanks for sharing what you are doing with each grade. Last year I also found it very beneficial to work with one person per grade (we had Techie Breakies together every few weeks) to move the technology along. This year we have designated one teacher per grade to be a mentor/coach for using the new SMARTboards. Looking forward to seeing you when I’m in Hong Kong later this month! 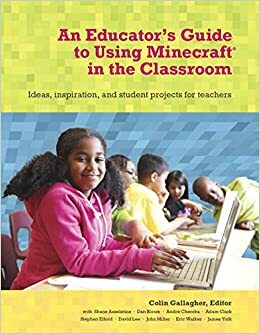 Good to see another great edutechniques post! Sounds like you really hit the ground running in your new position!